Hello, Tyler is at the Chicago Comic Expo C2E2 this week-end. Here the photos from yesterday. Hello, this february (16&17), Tyler will be at the Paris Manga (Comic Con) in Paris. You can find all the infos of this event here. Hello, this week-end, Tyler was at the Heroes and Villains Fan fest, in London. Here my photos from the Supergirl panel. Credit me please. 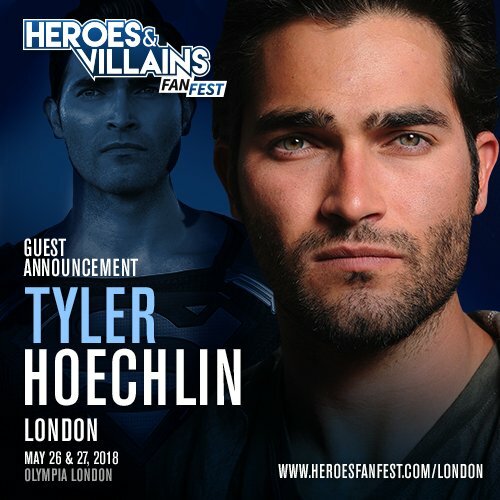 Hello, Tyler will be in London on May 26th and 27th, for the Heroes and Villains Comic con. Hello, this week-end, Tyler is at the Asia Pop Comic Con, Manila. Here the first photos. I added the pictures of the San Diego Comic Con on the gallery, more soon! Interview with the cast of Supergirl, for Entertainment Weekly, at the SDCC. Comic Con San Diego – MTV Interview with the cast of Supergirl.